Stainless steel crown (SSC) was introduced by Humphrey in 1950. Since 1950, SSCs have been widely used for the restoration of grossly destructed carious primary teeth and those teeth requiring pulp therapy or where other restorative materials are likely to fail. The SSC is easy to place, economical and it has the excellent durability. Braff et al. stated that SSCs were significantly superior to multisurface amalgams in the restoration of primary molars. In spite of its poor esthetics, it has been widely used due to its high strength than preveneered crowns. Microbial plaque adhesion is considered the major factor causing dental caries and periodontal disease in primary teeth. Streptococcus mutans is one of the main causative agents for the initiation of carious process. Different surface properties of the restorative materials have a direct role in the level of bacterial adhesion and aggregation. The microbial colonization of plaque on the foreign restorative materials depends on its surface characteristics such as surface texture, surface area, surface smoothness, and its surface microstructure. SSCs are available under different brands in the market such as 3M ESPE, Unitek, Rocky Mountain, ION Ni-Chro. The most commonly used is the 3M ESPE crown. Marginal adaptation is required to inhibit the ingress of oral bacteria which can cause secondary caries and gingival inflammation. These preformed crowns are well contoured and are available in different sizes for primary teeth. Alternative SSCs such as Kids crown are introduced, which have thin cervical margin and are soft, which makes trimming and contouring simple and convenient. However, the microbial plaque adhesion on these type of crowns is unknown. Hence, this study aims to evaluate the oral hygiene and microbial adhesion on the 3M SSC and Kids crown in primary molars. Microbial count immediately after the placement of crown was nil for both 3M ESPE and Kids crown. When the microbial count and OHI-S were seen on the crowns between the initial placement and first week, there was no statistically significant difference seen in the microbial count [Table 1] and OHI-S [Table 2] between the 3M and Kids crown. However, the S. mutans count on the Kids crown was more than that observed on 3M crown and natural teeth. Restoration of severely decayed primary teeth is always a challenge to the clinician. The ideal requisites for a restoration to be successful is its durability, ease of placement, cost-effectiveness, and natural appearance. 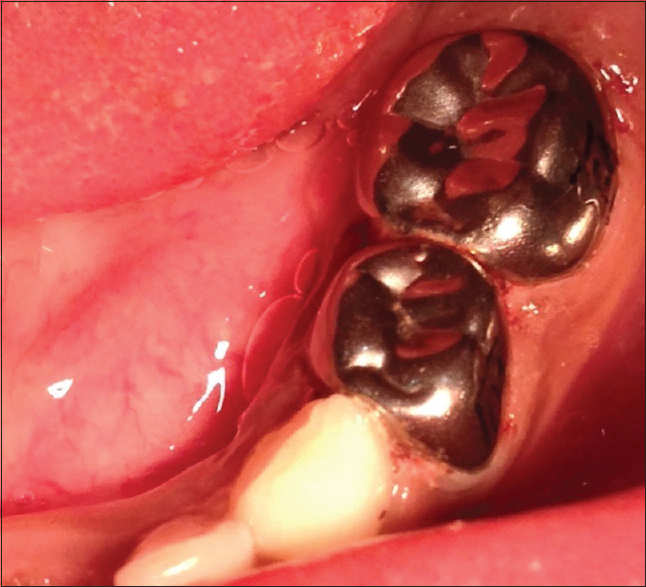 Preformed SSCs have better success rate than large multisurfaced amalgam restorations, which has been reviewed in the literature. , The SSC is cost-effective as they are durable, inexpensive, and less technique sensitive and has high longevity than large multisurfaced restorations. Children with the presence of primary first and second molars which needed pulp therapy followed by SSC were selected for the placement of crown. Any history of intake of antibiotics was excluded from the study as it can change the oral ecosystem. 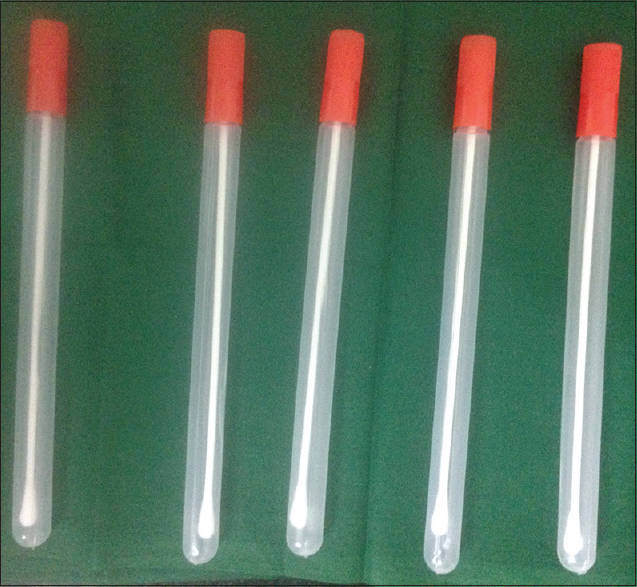 A parallel arm study design was used since variation in the direction and force of brushing in different side of the mouth can affect the results. Many SSCs are available in the market. In the last few decades, esthetic solution was found to replace the conventional SSC which has poor esthetic appearance. In this regard, open-faced SSCs, preveneered crowns, and resin-bonded composite facings are introduced. However, a study by Reeves has shown that the esthetic crowns are more thick and bulky, which favored the adhesion of microbes causing periodontal breakdown. Berg and Lin stated that there is maximum mechanical retention of the SSCs if there is a snap on effect. The success of the restoration also depends on the gingival health in relation to the restoration. However, the study has reported that inflammation of the gingiva varies based on different forms and contour of the SSC. Myers et al. in their study have shown that gingivitis occurs more around inaccurately fitted crowns than well-adapted crowns. S. mutans is the principle microbe causing dental caries. The initial stage of for developing secondary caries is due to the capability of S. mutans to adhere to the surface of the restoration. , In this study, swabs were collected from the occlusal and buccal surface as it harbors more microbes and more prone to caries. MSBA agar was used to isolate S. mutans as it is the selective media for Streptococcus due to the addition of bacitracin and sucrose. , When the microbial count and OHI-S were seen on the crowns between the initial placement and first week, there was no statistically significant difference seen [Table 1] and [Table 2] between the 3M and Kids crown. However, the S. mutans count on the Kids crown was more than that observed on 3M crown and natural teeth. The surface of the restoration is highly colonized than natural tooth surfaces. , Pedrini et al. said that the substances released by the dental material can directly influence the bacterial growth. On all exposed surfaces in the oral cavity, biofilm forms readily. When the microbial count and OHI-S were seen on the crowns between the initial placement and first week, there was no statistically significant difference seen [Table 1] and [Table 2] between the 3M and Kids crown. However, the S. mutans count on the Kids crown was more than that observed on 3M crown and natural teeth. Physicochemical interaction between the surface of the restoration and microorganisms occurs by electrostatic and van der Waals forces. The characteristics of SSCs such as surface roughness and surface energy influence the microbial growth. Higher the surface area and surface roughness of the restoration, higher the occurrence of bacterial adhesion. In this study, there was minimal follow-up. Further studies with long-term follow-up and scanning electron microscopic studies are needed to evaluate the microbial adhesion of plaque and S. mutans on Kids crown. The microbial adhesion of plaque and the S. mutans was seen higher on the Kids crown. However, there was no significant difference between 3M ESPE and Kids crown. Humphrey WP. Uses of chrome steel in children's dentistry. Dent Surv 1950;26:945-9. Seale NS. The use of stainless steel crowns. Pediatr Dent 2002;24:501-5. Braff MH. A comparison between stainless steel crowns and multisurface amalgams in primary molars. ASDC J Dent Child 1975;42:474-8. Grez PA, Godoy EF, Fluxa PP, Cortes GA, Saad JR, Casielles JM. Is there difference of Streptococcus mutans count and adherence on amalgam and resin occlusal restorations? A blind clinical study. Braz J Oral Sci 2015;14:5-9. Maryam G, Moosavi H, Forghani M. Effect of surface roughness and materials composition. J Biomater Nanobiotechnol 2012;3:541-6. Rashid H. The effect of surface roughness on ceramics used in dentistry: A review of literature. Eur J Dent 2014;8:571-9. Loesche WJ. Microbiology of dental decay and periodontal disease. In: Baron S, editor. Medical Microbiology. 4 th ed. Galveston, TX: University of Texas Medical Branch at Galveston; 1996. DENTAL 3M ESPE Com-patible PRIMARY MOLAR 10 CROWNS/ BOX | Hy-gieness.Gobizkorea.com. N.p., 2016. Web. [Last accessed on 2016 Nov 15]. Bin AlShaibah WM, El-Shehaby FA, El-Dokky NA, Reda AR. Comparative study on the microbial adhesion to preveneered and stainless steel crowns. J Indian Soc Pedod Prev Dent 2012;30:206-11. Myers DR. A clinical study of the response of the gingival tissue surrounding stainless steel crowns. ASDC J Dent Child 1975;42:281-4. Papathanasiou AG, Curzon ME, Fairpo CG. The influence of restorative material on the survival rate of restorations in primary molars. Pediatr Dent 1994;16:282-8. Ram D, Peretz B. Composite crown-form crowns for severely decayed primary molars: A technique for restoring function and esthetics. J Clin Pediatr Dent 2000;24:257-60. Langdon A, Crook N, Dantas G. The effects of antibiotics on the microbiome throughout development and alternative approaches for therapeutic modulation. Genome Med 2016;8:39. Fuks AB, Ram D, Eidelman E. Clinical performance of esthetic posterior crowns in primary molars: A pilot study. Pediatr Dent 1999;21:445-8. Reeves WG. Restorative margin placement and periodontal health. J Prosthet Dent 1991;66:733-6. Berg J, Lin JY. Dental Town Magazine. 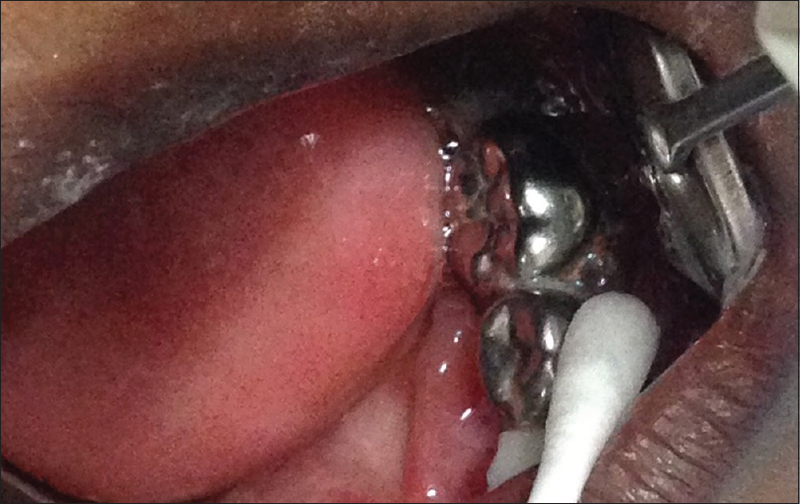 Techniques for Use of Stainless Steel Crowns in Primary Molars; 1 June, 2013. Myers DR, Schuster GS, Bell RA, Barenie JT, Mitchell R. The effect of polishing technics on surface smoothness and plaque accumulation on stainless steel crowns. Pediatr Dent 1980;2:275-8. Kawashima M, Hanada N, Hamada T, Tagami J, Senpuku H. Real-time interaction of oral streptococci with human salivary components. Oral Microbiol Immunol 2003;18:220-5. Nyvad B, Kilian M. Comparison of the initial streptococcal microflora on dental enamel in caries-active and in caries-inactive individuals. Caries Res 1990;24:267-72. Rajendran R, Sivapathasundharam B, editors. Shafer's Textbook of Oral Pathology. 6 th ed. India: Elsevier Health Sciences; 2009. Wan AK, Seow WK, Walsh LJ, Bird PS. Comparison of five selective media for the growth and enumeration of Streptococcus mutans. Aust Dent J 2002;47:21-6. Auschill TM, Arweiler NB, Brecx M, Reich E, Sculean A, Netuschil L. The effect of dental restorative materials on dental biofilm. Eur J Oral Sci 2002;110:48-53. Hannig M. Transmission electron microscopy of early plaque formation on dental materials in vivo. Eur J Oral Sci 1999;107:55-64. Pedrini D, Gaetti-Jardim Júnior E, de Vasconcelos AC. Retention of oral microorganisms on conventional and resin-modified glass-ionomer cements. Pesqui Odontol Bras 2001;15:196-200. Busscher HJ, Rinastiti M, Siswomihardjo W, van der Mei HC. Biofilm formation on dental restorative and implant materials. J Dent Res 2010;89:657-65.